Nikita Annenkov appeared on Show 238, recorded in July 2011, at age 19. 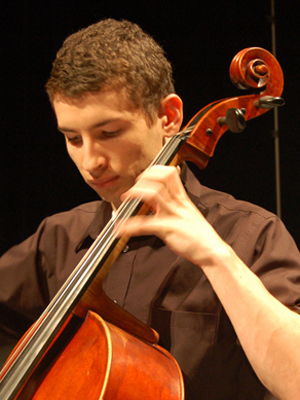 Nikita Annenkov (cello), age 19, hails from Columbus, Ohio and is a senior at Dublin Scioto High School. He is a recipient of From the Top’s Jack Kent Cooke Young Artist Award. Nikita studies the cello with Pei-An Chao and is a member of a quartet and a trio at the Chamber Music Connection. He has participated in master classes with Christopher O’Riley, Guarneri Quartet, and Jupiter Quartet. Nikita enjoys reading adventure books, playing video games, and spending time with friends. Nikita is a Jack Kent Cooke Young Artist.